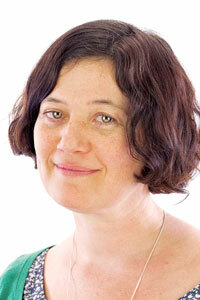 Esther Bell has a degree in Biology and a PhD in Developmental Biology (University College London). During her PhD she studied limb development in the laboratories of Professor Lewis Wolpert and Dr Paul Brickell. She subsequently did her first post-doc with Professor Andrew Lumsden investigating the role of Hox genes in hindbrain patterning. She was then awarded an EMBO long-term fellowship and a Rockefeller Women & Science fellowship to work with Professor Ali Brivanlou at Rockefeller University on neural induction in Xenopus laevis. In 2004 Esther returned to King’s College London and started her own lab with a Career Development Award from the Medical Research Council. She was made a lecturer in 2009. In addition to running a research lab, Esther also teaches on a variety of undergraduate courses. In 2015 she was appointed Programme Director for the Biomedical Science BSc.